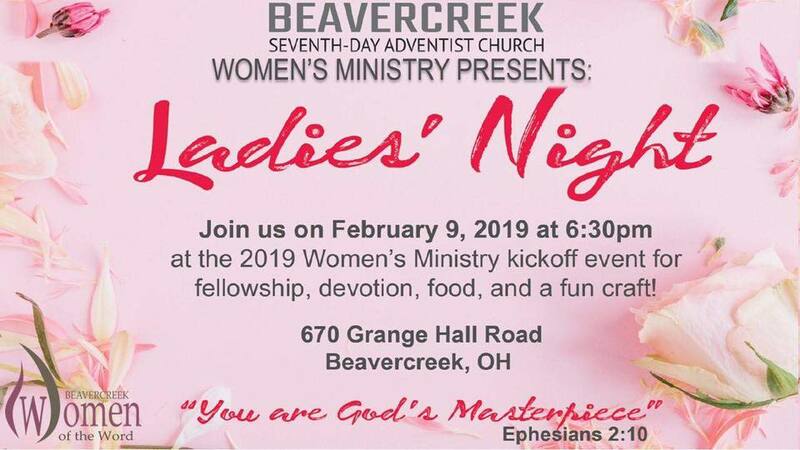 The Beavercreek Seventh-Day Adventist church women’s ministries department invite all ladies to join them for their 2019 kick-off event, Ladies’ Night! Join us for fellowship, food, devotion and a fun craft! Invite a friend to join you and see you all here! Get a reminder on Facebook for this event by CLICKING HERE.